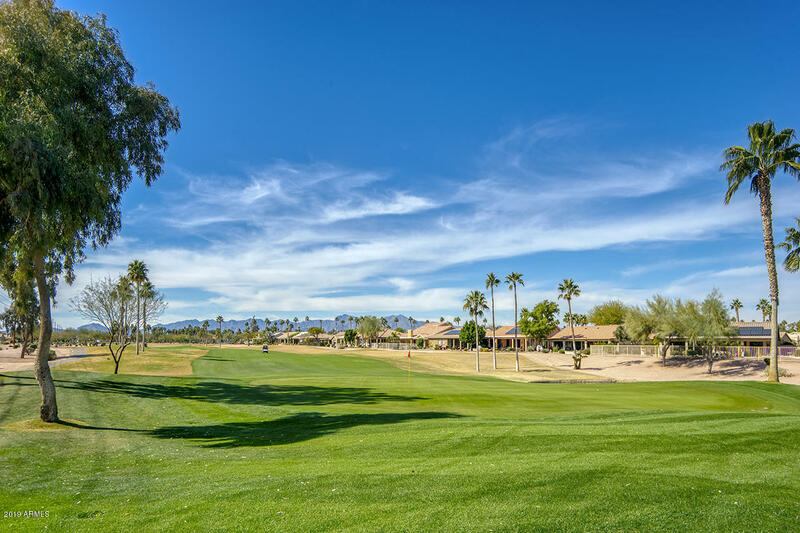 All PEBBLECREEK PHASE 2 UNIT homes currently listed for sale in Goodyear as of 04/26/2019 are shown below. You can change the search criteria at any time by pressing the 'Change Search' button below. 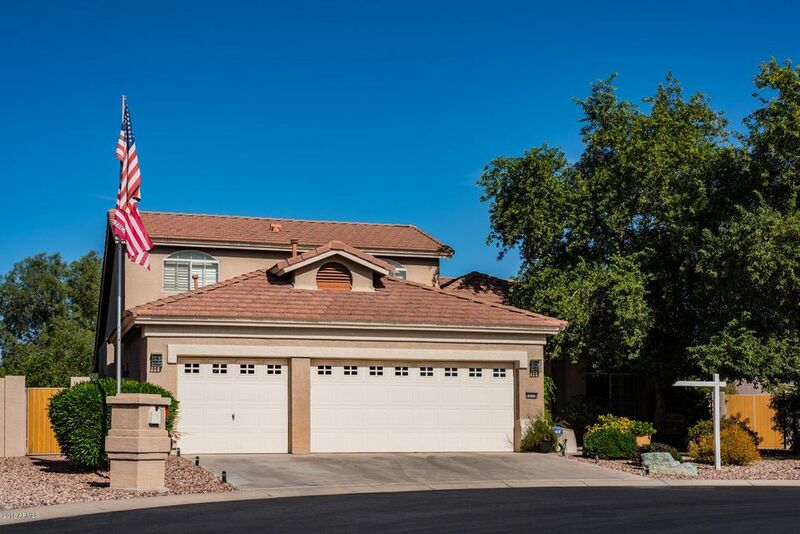 "Beautiful three bedroom Marbella in Tuscany Falls on an exceptional golf course lot with water & mountain views! Stunning Brazilian cherry wood floors, 20x20 tile, & custom baseboards. Upgraded carpet in Guest Bedrooms. Vaulted Ceilings with custom crown molding & custom accent paint. The spacious Kitchen has a huge Island, natural cherry cabinets, solid surface counters & backsplash. Windows in the Breakfast Nook & Family Room overlook the extended & covered, patio with built-in BBQ, water feat"
"Enjoy resort style living in the sought after community of PebbleCreek with tons of shops and restaurants just steps away. 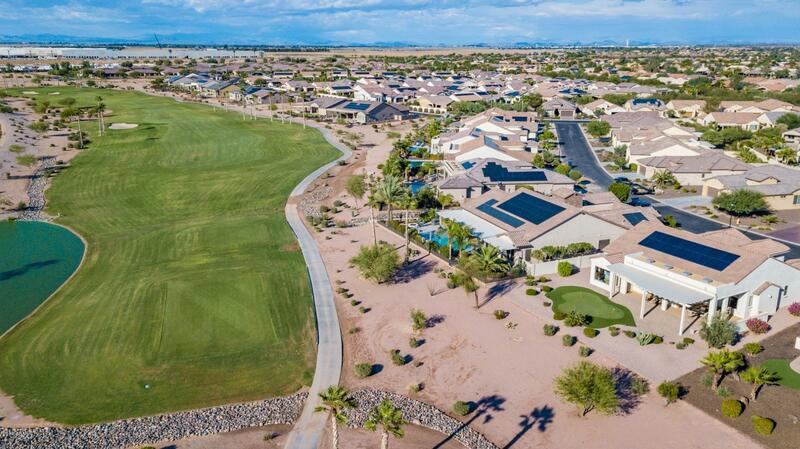 This quiet CUL DE SAC lot can come FULLY FURNISHED, including vehicle for an easy turn key move and is just a short walk to the new OASIS POOL HOUSE and a short drive to the I10 and 303 Freeways. NEW LANDSCAPING in the yard for privacy, but still ample room on this angled lot for a pool. 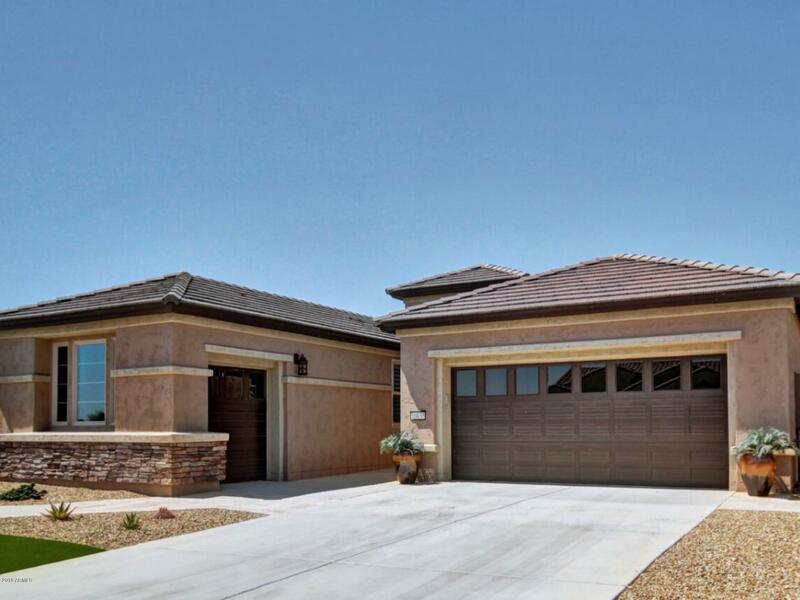 This beautiful SONATA has over $100,000 in UPGRADES and a CASITA! Check Documents t"
"You should be able to mark off all those boxes with this one! South facing with views of the MOUNTAINS AND GOLF COURSE (Green #15)OWNED SOLAR!Home offers 3 bedrooms/2 baths, flex room with gorgeous gas fireplace,great room overlooking your inviting pool and patio with pergola and built-in BBQ grill, great entertaining out door spaces with unique water feature. 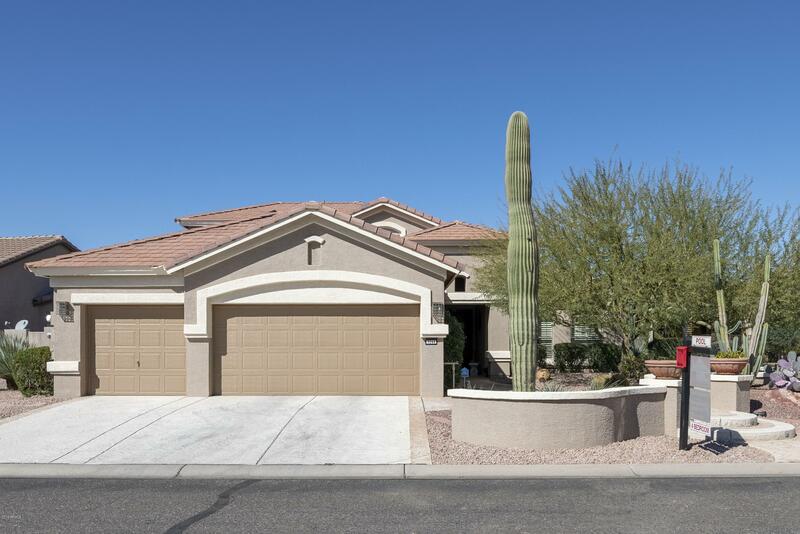 Kitchen equipped with newer SS appliances, gas cook top, plenty of granite counter space with informal dining area overlooking great roo"
"PRICED $32000 BELOW APPRAISED VALUE - Upgraded Medina model - VIEWS - Lake, Golf Course, Mountain views + Incredible Sunsets. 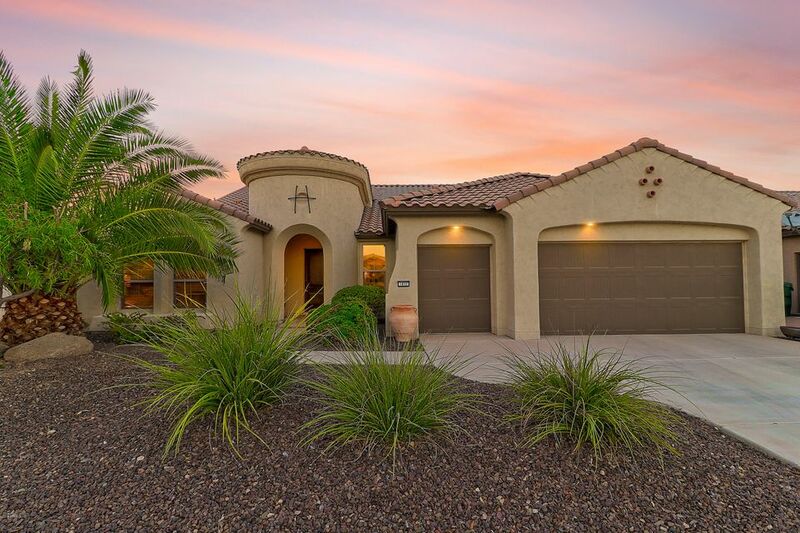 This Luxury home has a one bedroom Casita GUEST HOUSE. A HUGE Extended length GARAGE has room for large trucks. 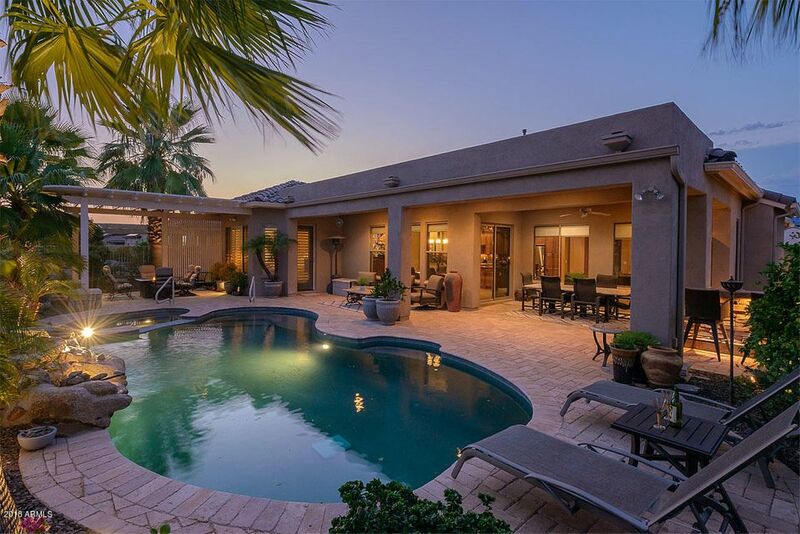 Enclosed Courtyard ...Full Length covered patio, Fruit trees. 2 Beautifully appointed ensuite bedrooms plus den. The master bath features a large bath tub,separate shower & double sinks. The guest bedroom features a newly remodeled shower. GREAT ROOM has "
"Newly remodeled rare and beautiful Sonoma model. Quality upgrades include cherry wood kitchen cabinets with rollout shelves, & a contemporary range backsplash. The entire interior has recently been repainted with designer colors and trim. A custom designed and built stunning stone media wall in the living room with 6' electric fireplace is surrounded by new plush carpeting.Natural gas fireplace in a stacked stone surround in the family room.Third bedroom/sewing room has a functional tile floor "
"EXCEPTIONAL GOLF COURSE PANORAMA! 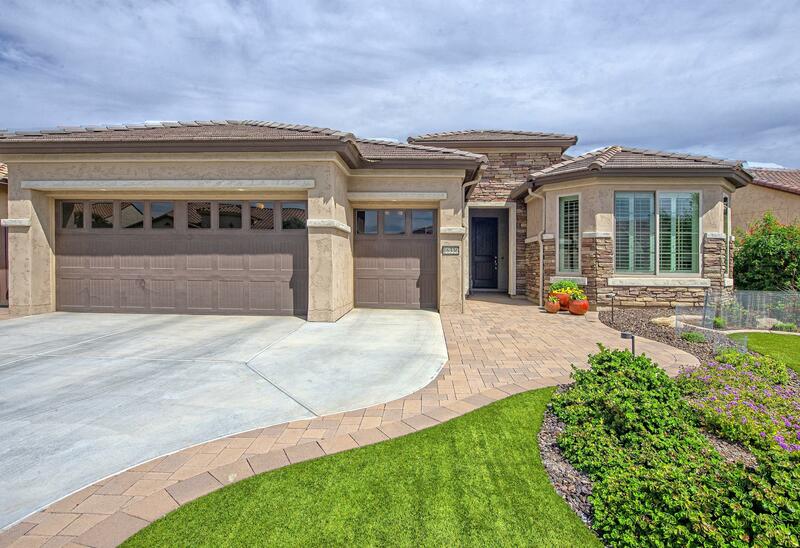 This STUNNING Sienna Model has what you're looking for ....Great Room Floor Plan with perfect room sizes. The addition of an Ensuite for the Guest Room is one of the many Designer Upgrades you'll find in this home! Great Room includes a Media Wall with Fireplace, High End Kitchen with Island and Eating nook add to the versatility of this home. Den/3rd Bdrm has French Doors, Master Space is Spacious with large separate sinks, Stunning Custom Tiled Walk-in Show"
"Palatial Paradise with POOL & SPA!This home has all the space you might need for your Active Adult Lifestyle!The First Floor has three separate spaces that can be used for Office / Library/ Media/ Art / Quilting or Workout!Gorgeous Dining room is perfect for entertaining, having friends and neighbors for dinner or games. The Great Room has views of the Pool & Spa. 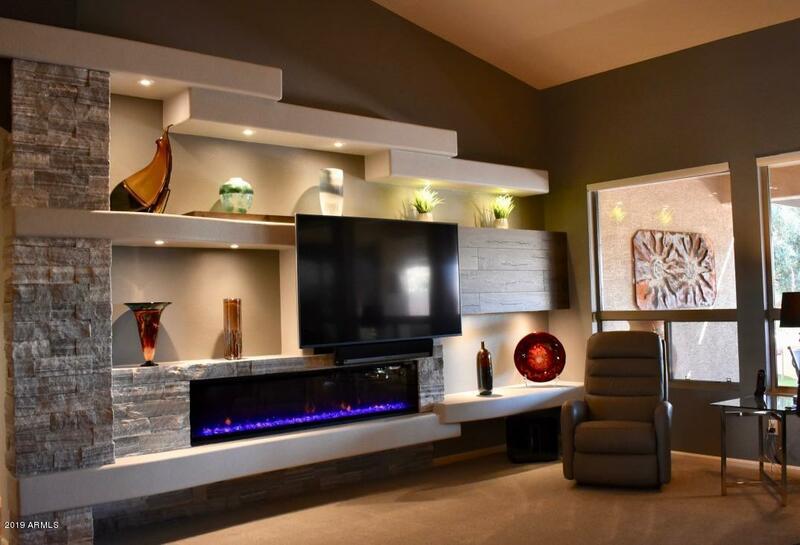 The Custom Media Wall is perfect for TV, Fireplace and Displaying Art. 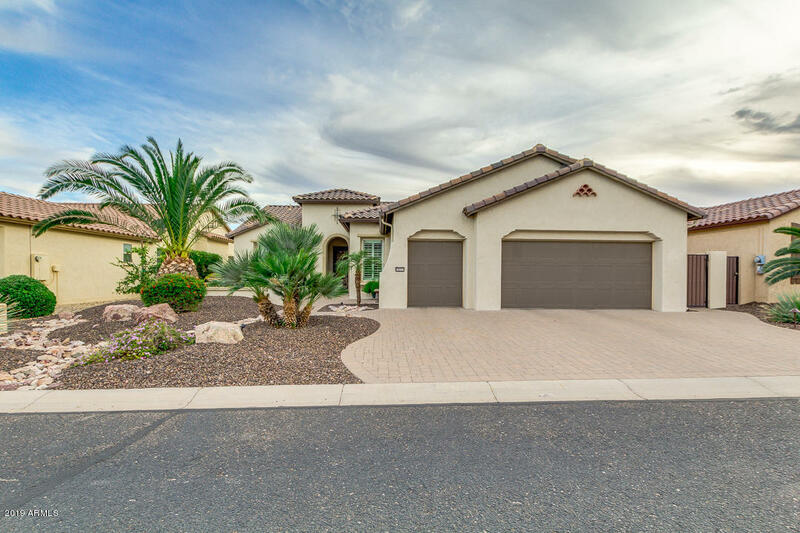 Kitchen is well laid out with an abundance of cabinets "
"This gorgeous Medina model is loaded with upgrades and ready for you to move-in! True pride of ownership shines through from the moment you arrive. 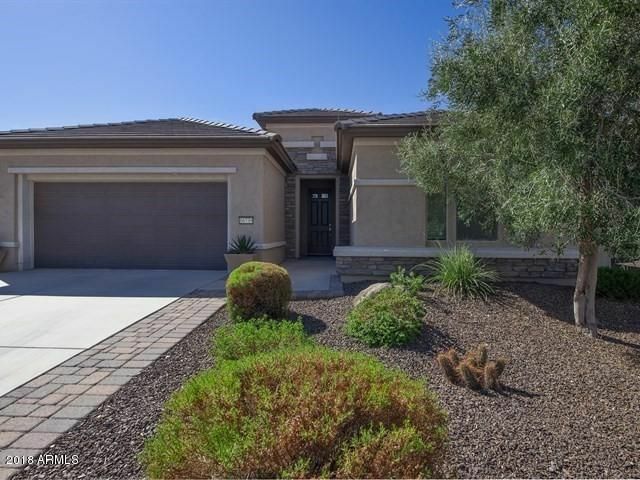 Great curb appeal with raised front patio and beautiful custom iron security door welcomes you. 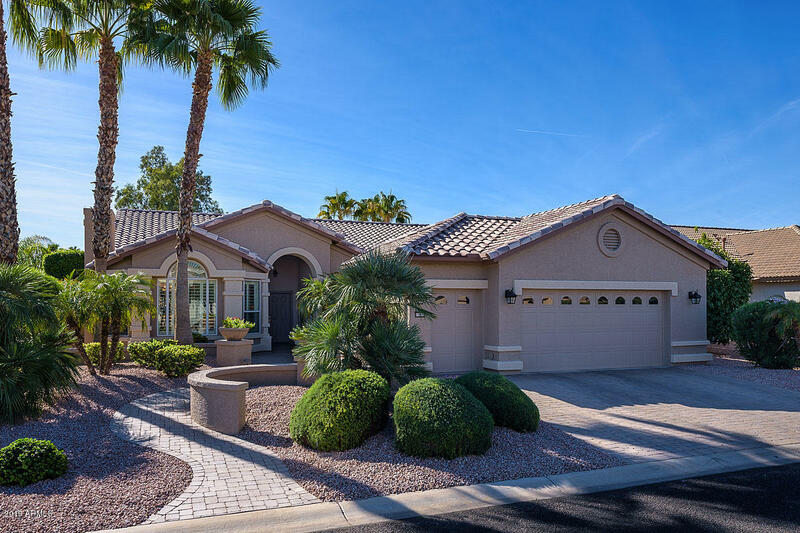 Once inside you'll find granite counters and back splash, plantation shutters and highly upgraded cabinetry with crown molding. The garage has been extended and floors recently epoxied. 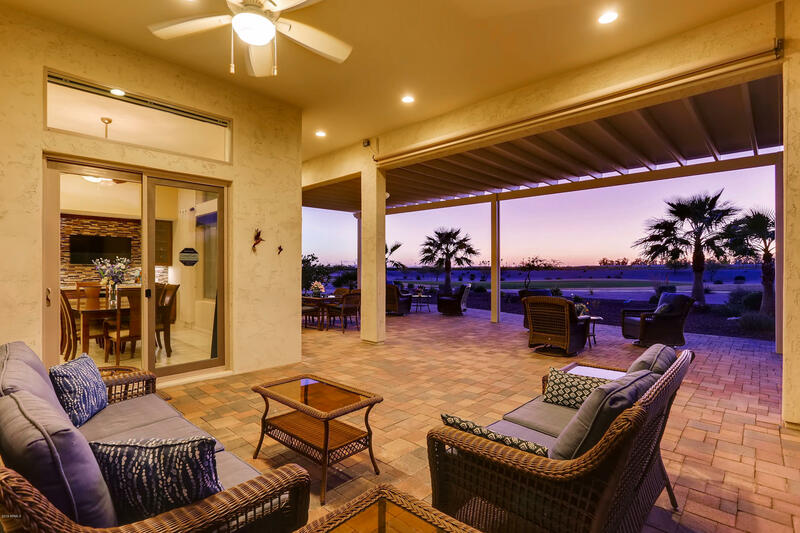 The striking East facing patio features an extended Pergola, Built-i"
"Move in ready FRESCO model. Why wait to build, save money and time. 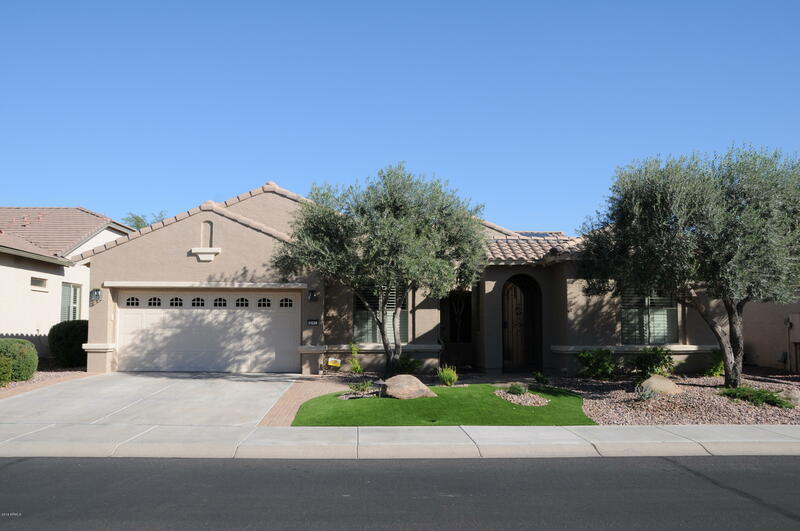 Professionally landscaped front yard, Stylish paved entry. Soaring ceilings highlight this Spacious great room floor plan. Upgraded ceiling fans and designer lighting fixtures. Uniquely designed Quartz Curved kitchen counter keeps chef engaged with their guest. Master Suite features clear glass frameless shower enclosure, dual vanities, large walk-in closet + Ensuite guest bedroom with full bath. Expanded laundry room, Soft Wa"
"You will fall in LOVE the instant you enter this expanded Marbella with its warm neutral colors, vaulted ceilings, plantation shutters, neutral carpet, tile flooring, and decorator touches throughout. 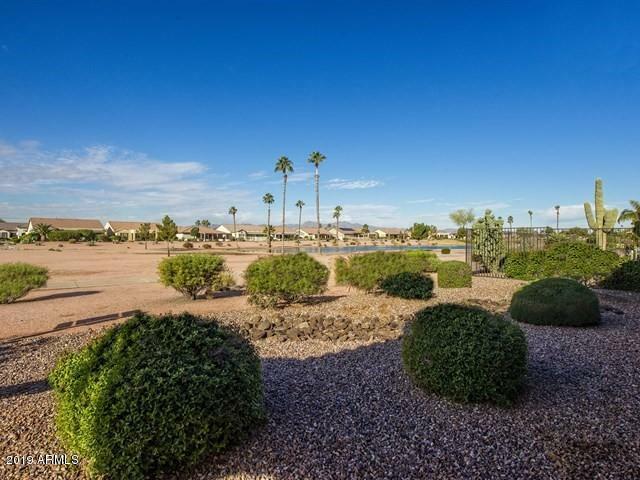 Nearly 1/3 acre lot, plenty of room for a pool. 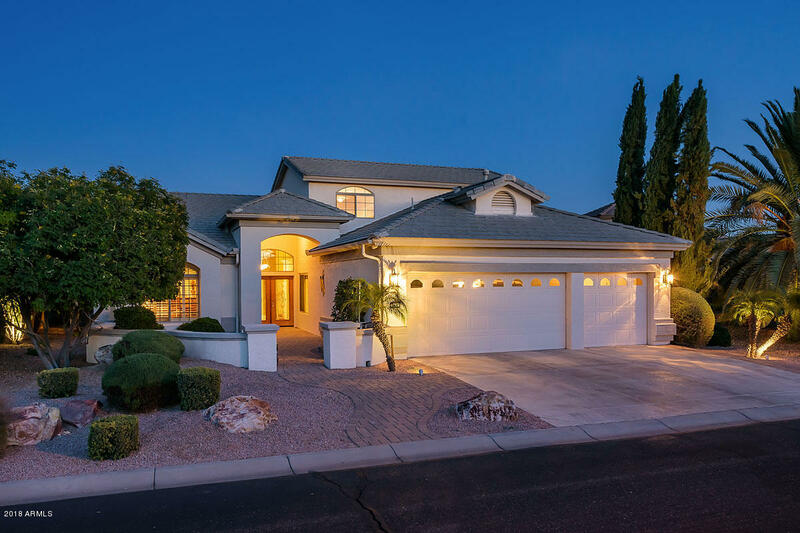 This 3161 sf home offers formal & informal living areas + a den. The gourmet kitchen features upgraded cabinets, tile counters, gas range, double ovens, a new dishwasher, & an island with breakfast bar. The open concept family room with surround sound"
"Welcome to your ''better than new'' home in the active adult golf community of PebbleCreek! 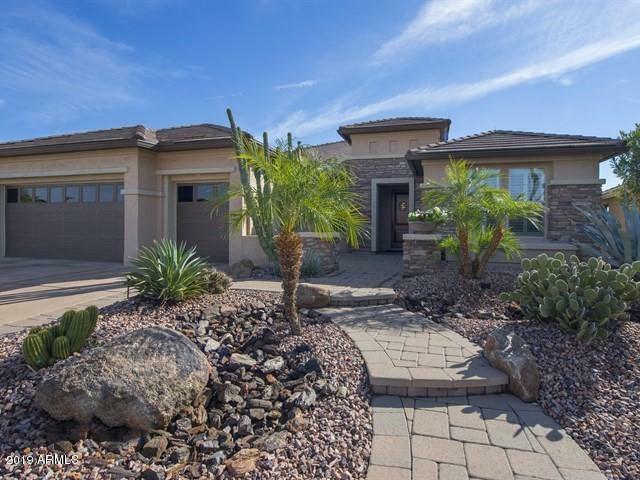 As soon as you open the front door of this gorgeous home you appreciate all of the designer touches that greet you. The great room is light and bright with beautiful neutral tile flooring. The kitchen has stone counters, and stunning two-toned backsplash. Cabinets are maple with roll outs and soft close drawers. The bay window in the dining area brings in natural light and makes the area feel very spaciou"
"Talavera Model. Recent solar panel install. Smart home thermostats. Wired alarm. Beautiful landscape. Private backyard (east facing for cool evenings) backing to open space. 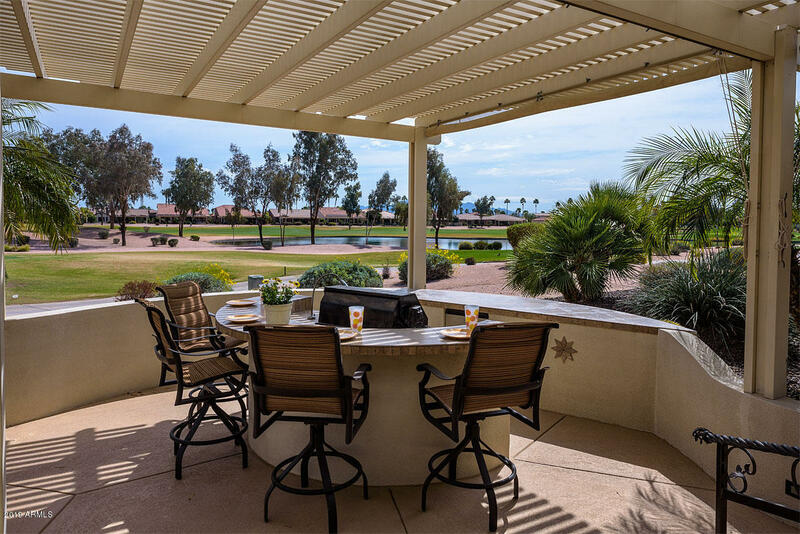 Automatic awning, built-in umbrellas, gas firepit, built-in bbq, fully fenced. Cardell Princeton maple cabinets, premium granite countertops; travertine backsplash. Add'l kitchen prep sink w/disp. Solar tube. Barn door at 2nd bdrm creates private guest suite. Provenza wood floor; upgraded tile in wet areas & Bonus room. 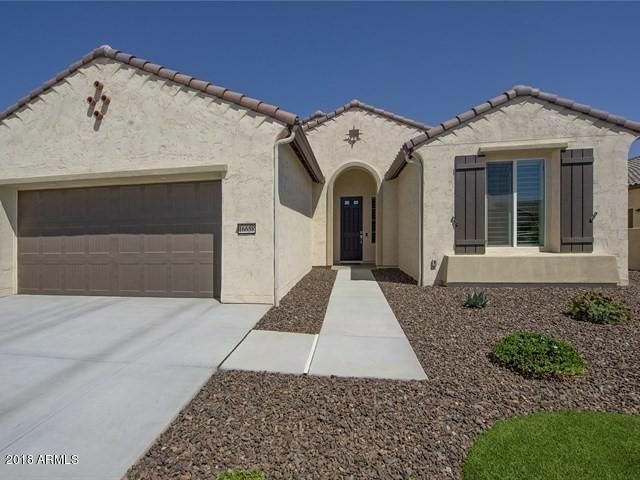 4 ft"
"This popular Vita Model is exquisite with a huge private lot, extended covered patio with a custom fireplace, a large Casita, room for a pool, wonderful upgrades and is available fully furnished/turnkey. 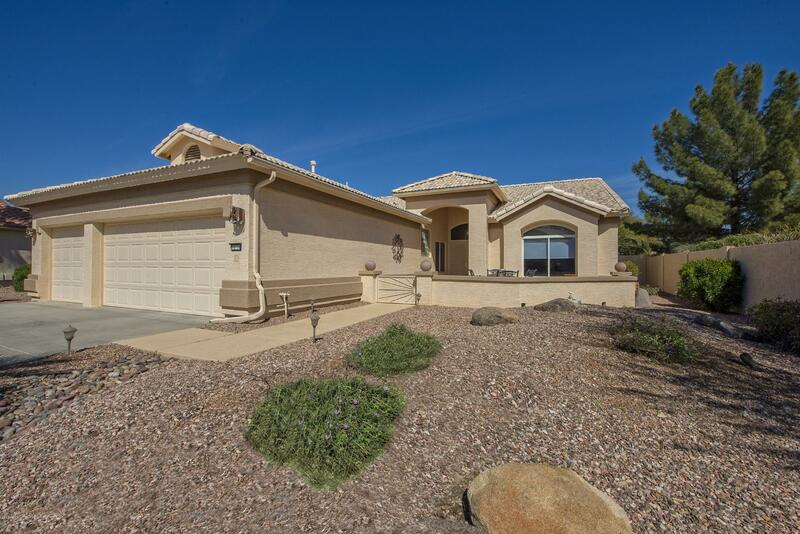 The Great Room, Dining room, kitchen and den all are light and bright with a view of the spacious back yard. The chef's kitchen features quartz counters, back splash, an under mount double sink, Custom cabinets & high line appliances with a gas stove. The utility room includes a washer & drye"
"You can't build for this price. Fiesta Model - Room for a pool, Light & Bright, exquisite contemporary design, ULTRA Insulation -energy efficiency. Light tile flooring. Chef's kitchen has a large island & dining nook - extended bay window. Energy efficient sound proof triple pane windows,solar tubes & extra insulation provide light spacious & quiet Living space. 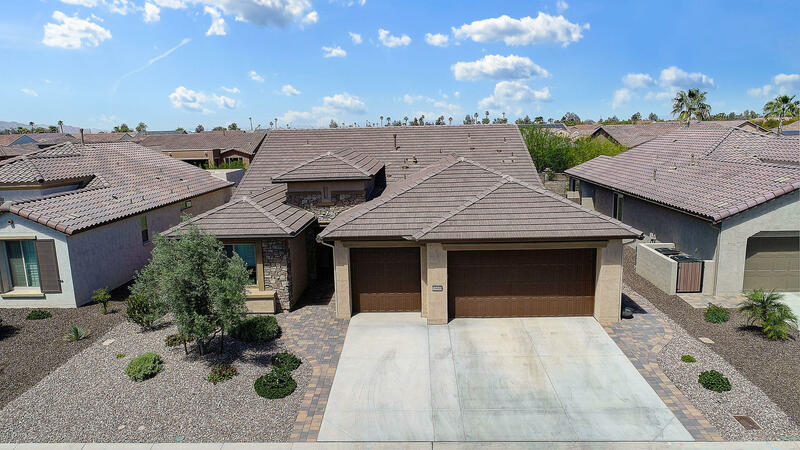 Covered Patio with Nat.Gas.Large master bedroom features a walk in closet & large master bath.En-suite 2nd bedroom is spacious.Den is d"
"Desirable PebbleCreek Active Adult Community 2810 Sq Ft home w/2 beds, 2.5 bath could be yours to own. 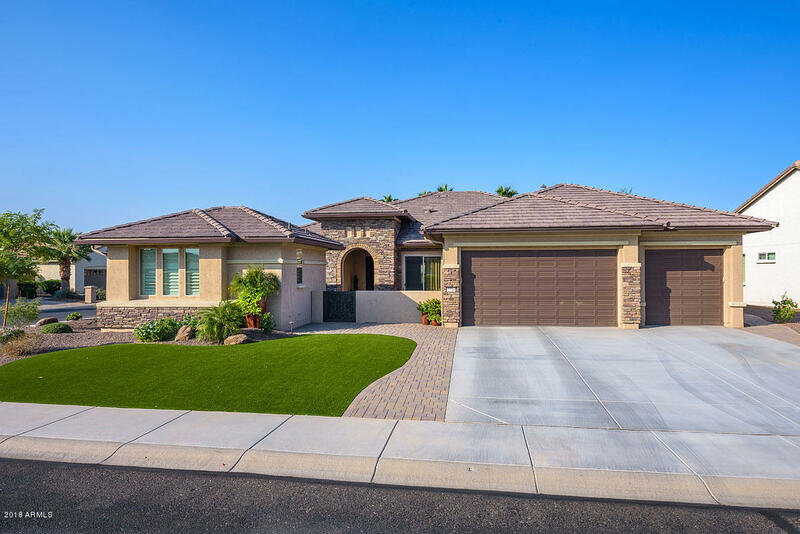 The grand entry courtyard with Double Doors and foyer opens to beautiful living spaces; vaulted ceilings, open floor plan & neutral interior palette. This kitchen boasts a huge island with breakfast bar, Corian counters & plenty of cabinets for convenient storage. The adjacent informal dining area & spacious family room provide the ultimate relaxation environment. The master retreat features a "